Upbeat, sparkly and polished, Another Man’s Shoes is the superb debut album from the harmony trio of Stockport sisters, consisting of 13 diverse and well-crafted songs, with strong melodies and choruses. 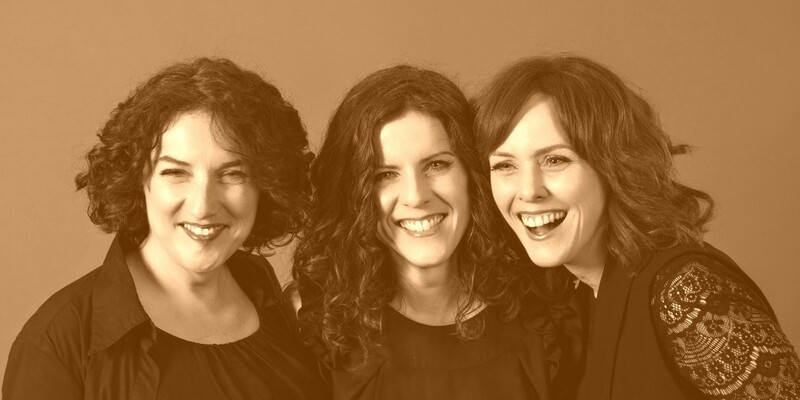 Ange, Cath and Jen wrote all the tracks themselves – although no individual credits are given – and collaborated on the arrangements. Imaginative and creative lyrics – included in a booklet – present insightful perspectives on an intriguing range of subject matter, and reward focused listening. Thus the tale of engine driver Johan Axon is retold in a refreshing and fast-paced narrative. Work is a wonderfully ironic protest song about torture, wrapped up in a deceptively cheery melody. The Woman who walked is about domestic abuse, Dieter and Marie Pierre tells the poignant story of a wartime romance. There are fine variations in pace and style, with a leaning toward the pop side of folk, including tracks with flavours of bluegrass, folk-rock or mellow smoothness. Fiona Lander excels on wind instruments, especially whistles, as does Andy Dinan on fiddle and banjo. Andy Seward and Simon Whitbread keep the rhythms tight, while Clive Gregson and John Wood’s expertise shines through in the production. With clear and melodic voices, the sisters flawless and intricately woven vocal harmonies are evident throughout, best heard on the luscious Sweet Dreams, You are the One, and the a cappella title track. A very impressive and confident debut, Another Man’s Shoes also offers great potential for the future. The sisters’ talent, versatility and willingness to explore boundaries provides a highly enjoyable listen.